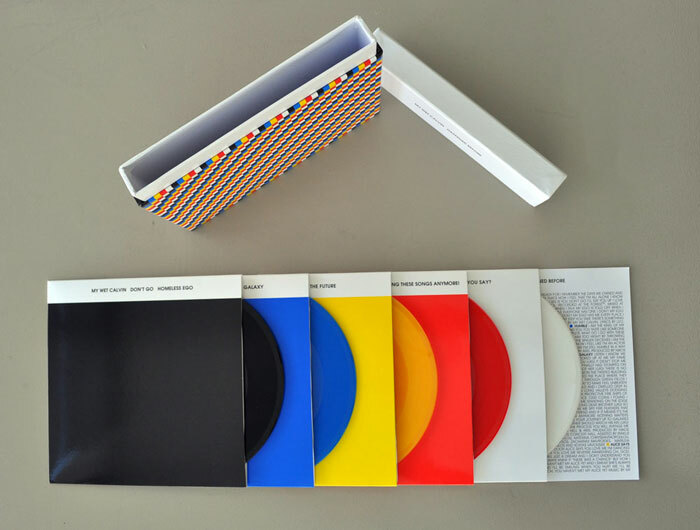 This new album was produced by 5 different sound engineers who get their own color coded single; 2 songs per 7"er. While I can't say much about the band name or the music itself (not to mention a website that doesn't seem to agree with my web browser), they have outstanding taste in packaging. I can't fathom how much something like this cost to make but the final product is pretty damn remarkable. For a bevy of images of this gorgeous singles box, go here.